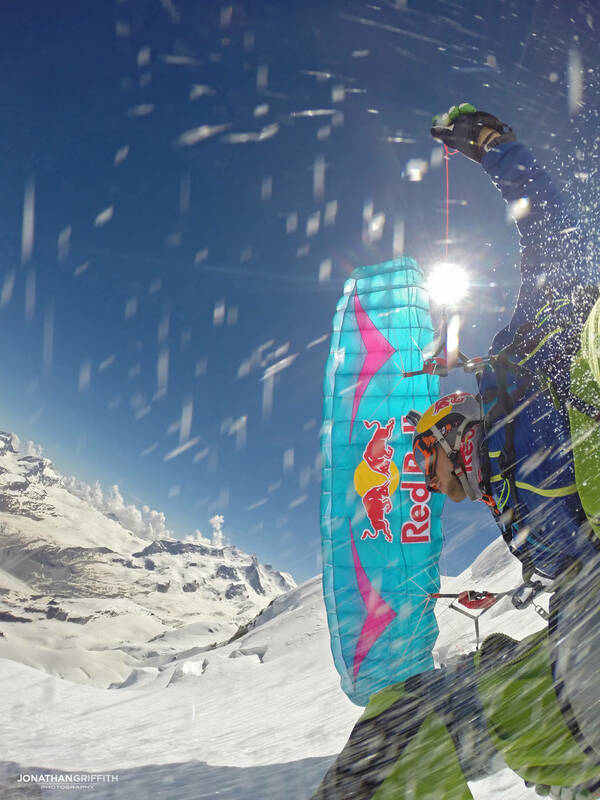 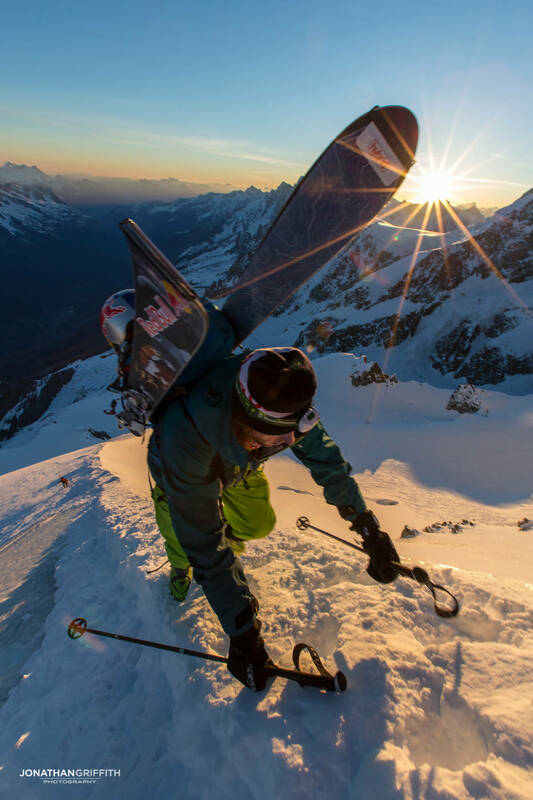 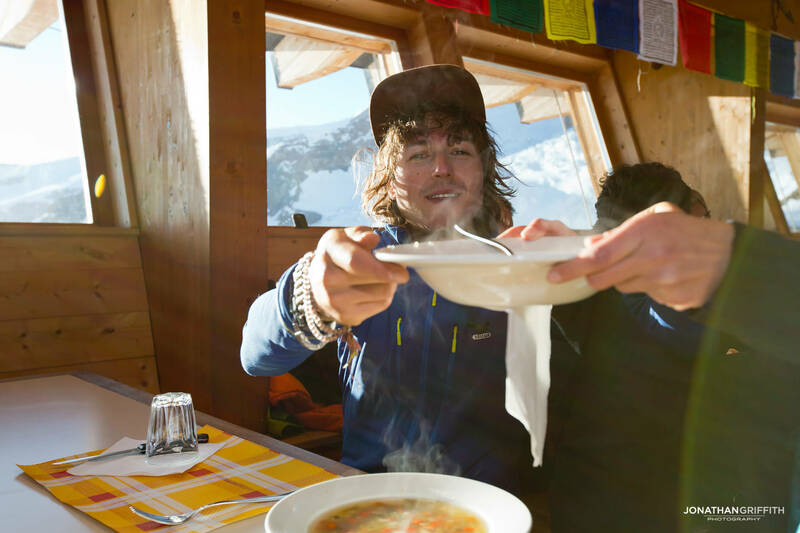 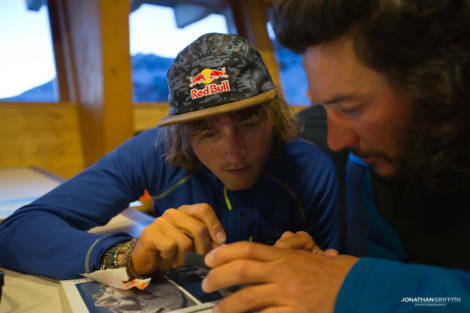 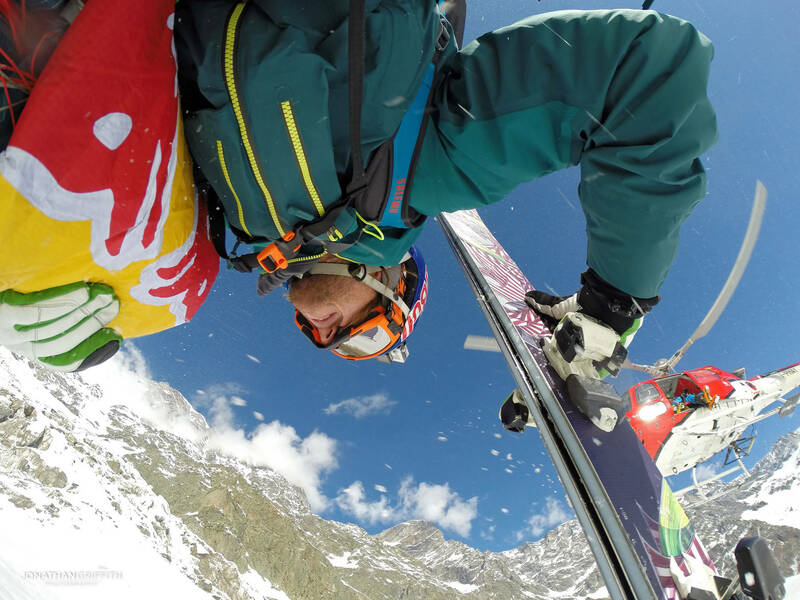 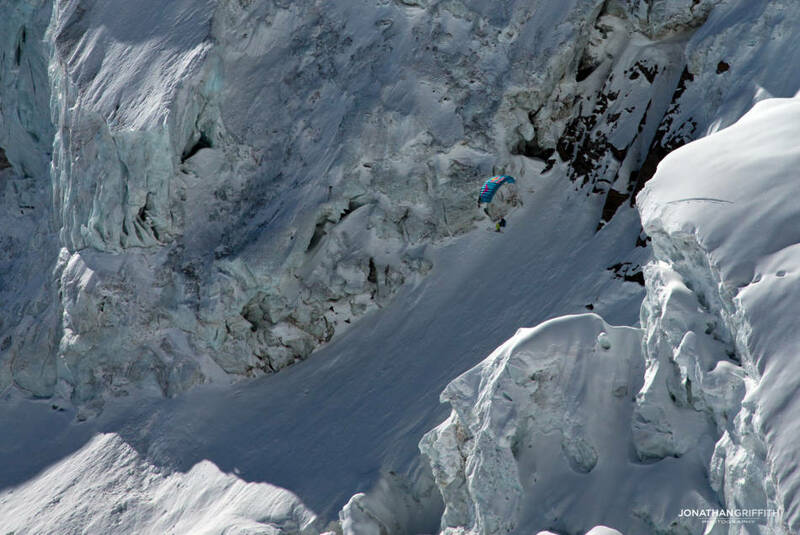 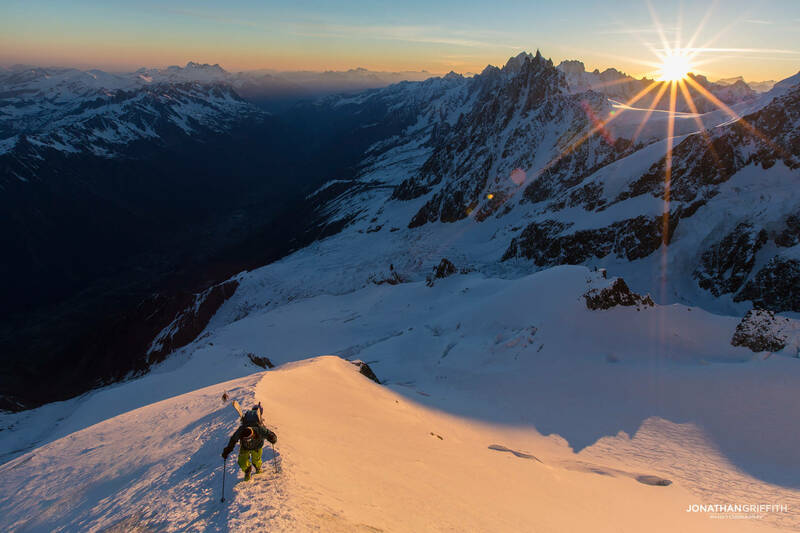 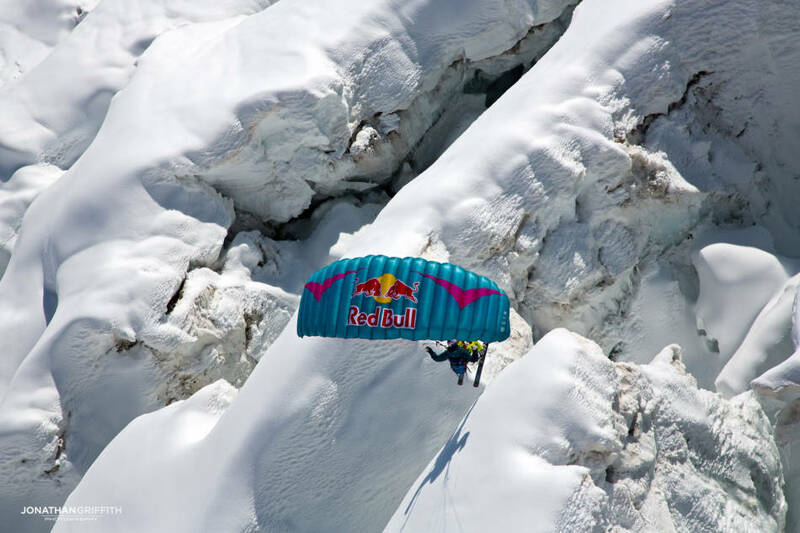 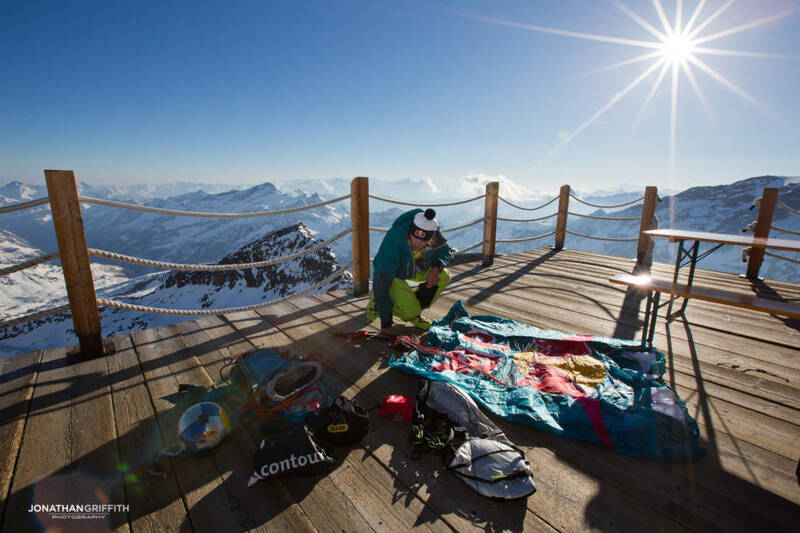 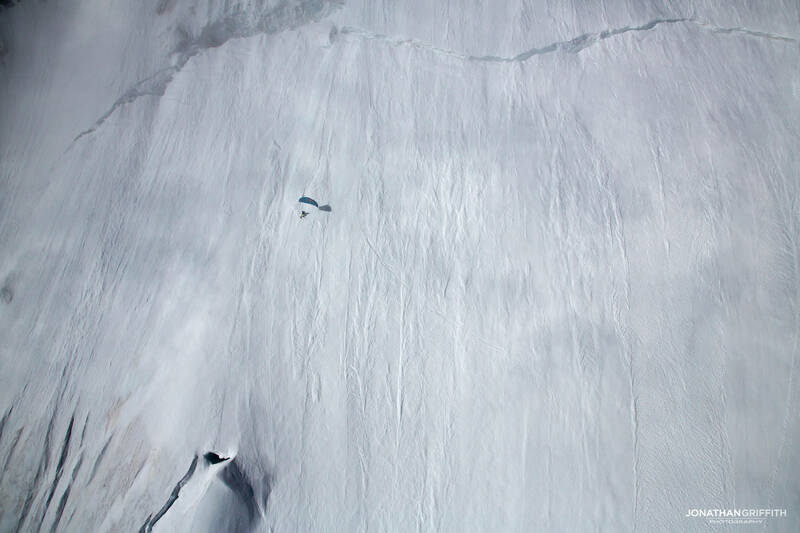 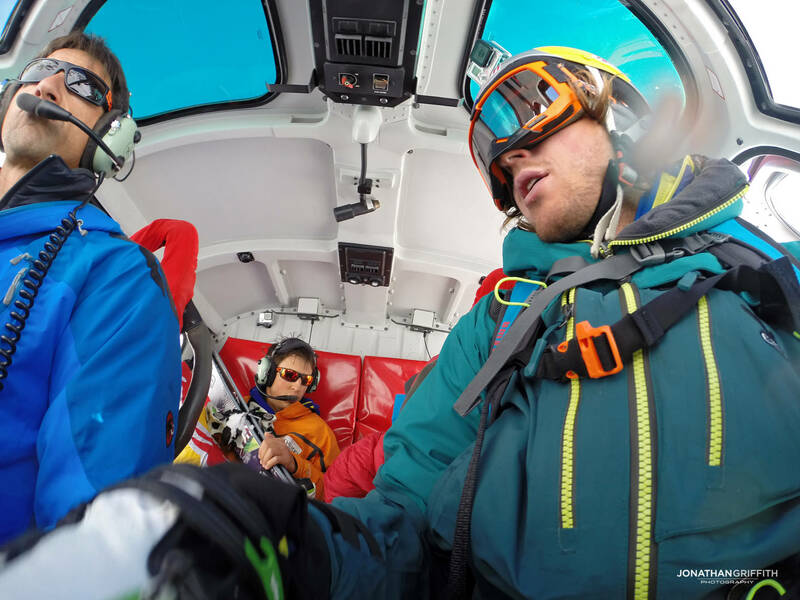 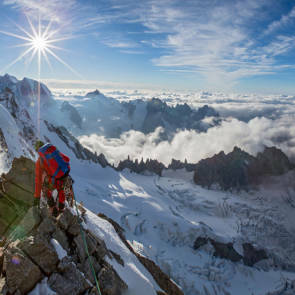 The brief was to shoot Red Bull athlete Aaron Durogati speed riding the Mont Blanc, Monte Rosa, and Breithorn for a campaign focusing Red Bull Drinks in the European mountain sports market. 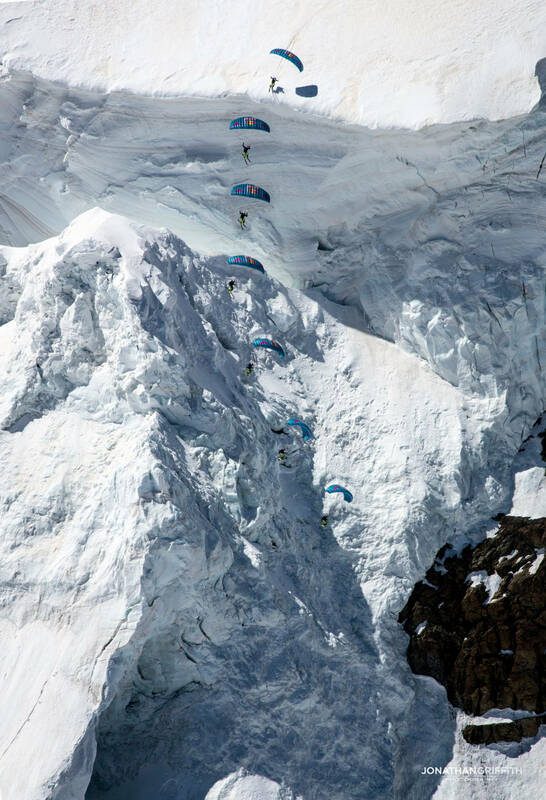 We were to climb the mountains with him, and shoot from a helicopter on the way down. 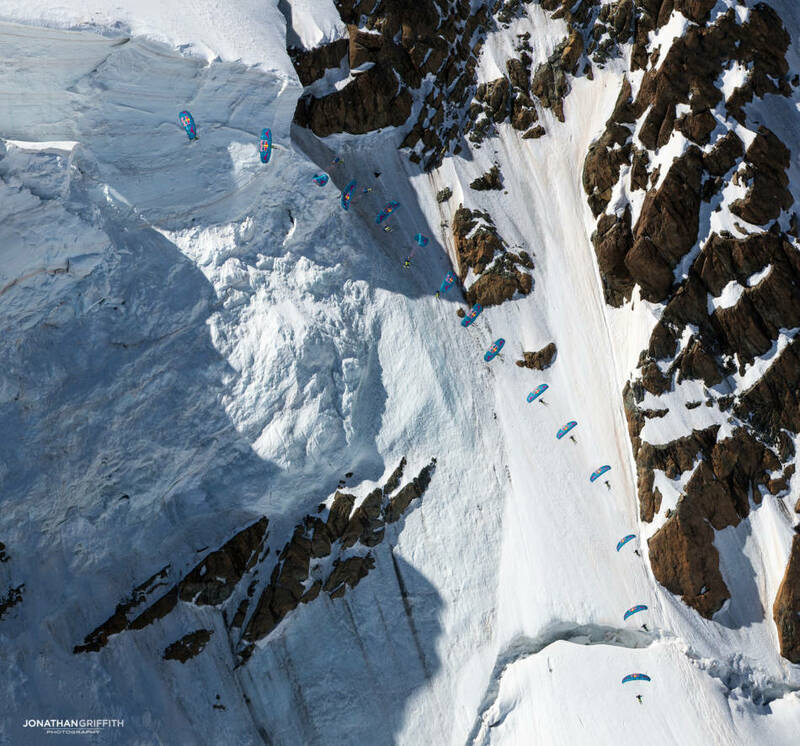 Whilst Red Bull branding is very important on all their shoots, paramount was capturing really epic and unique shots of this much photographed sport. 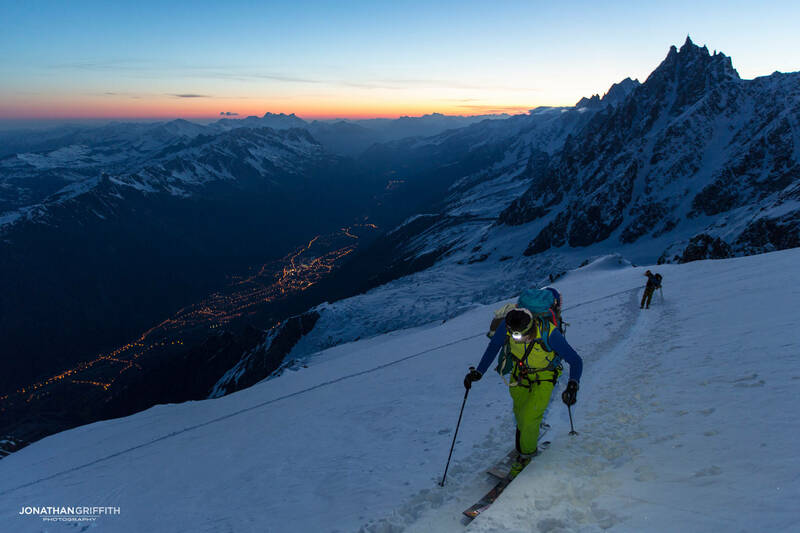 Due to fickle weather at the end of the Spring it would take us over two months to capture the three descents.